Yue Hua began showing an interest in business at an early age, as her parents were both business people. After she graduated from a business school, in her hometown, Mudanjiang, a city in Northeast China's Heilongjiang Province, she told her parents that she wanted to see the world outside of her hometown. Although her father suggested she stay in town and find a stable job, Yue insisted on moving away to seek better opportunities. She moved — by herself — to Beijing, where she started her first business. She sold photographic equipment. She overcame many adversities during the 10 years she operated that business. "The business was profitable, but too much risk was involved. I thought that if I started a new business, I would create my own brand," Yue says. In 2007, she planned to pose for a series of photos to celebrate her 30th birthday. She went to many studios in Beijing, but she failed to find a studio that could meet her demands. "All of the studios focused on wedding-photo services, and their photos had a similar, old-fashioned style. I believed my photos should tell stories about my own life, and I didn't want to 'act' in my photos," she says. When she shared her experience with her friends, she found that they had similar feelings about photo studios. Yue decided to change the situation. She rented a 200-square-meter house, and in 2008 she opened Extop Photography Studio. Some of her friends suggested that she should provide wedding-photo services, as that would generate profits quickly. "I knew that taking wedding photos would be beneficial for the development of my business. However, there were millions of wedding-photo studios in China. I couldn't see the point of offering a similar service. I hoped my business would satisfy a niche market, by providing a high-quality, portrait-photography service to customers, especially those who had good taste in photos," Yue says. Yue didn't expect that her new business would boom. "At that time, it cost 900 yuan (US $138) to have a series of photos taken at Extop. Every day, our employees received dozens of customers. I thought the studio had to ensure the quality of services, so I developed the studio into a club," Yue says. Very few high-end studios can be called clubs, says Yue. "Whether a studio is decorated luxuriously is not the key point. What really matters is the quality of services. In our club, we offer the best cosmetics and costumes, and we use the best equipment. Our photographers and photo-processers are among the best in the industry. We provide services to five customers only in one day," she says. In the past, mainly celebrities and senior-level business people had the desire for portrait photos. In recent years, ordinary people have an increasing demand for good portrait photos that fit their occupations and personalities. Some customers are unsure of the types of photos they want taken before they visit Extop. "Our staff must talk patiently with them, and the staff must provide customized services. We won't copy other studios' styles. Our goal is to reflect every customer's true inner world with our photos," Yue says. Yue is happy that many customers have chosen Extop as the place to pose for photos to commemorate the various stages of their lives. "As people grow older, some of their memories will become vague. Photos record precious moments. I hope that when I am old, I can use a photo album … to tell my stories to my grandchildren," Yue says. Extop also offers family photo services. Today one can use a cell phone to take photos, but at a studio people, especially elderly, tend to be more enthusiastic about posing for family photos. "Once, we took photos of a woman and 20 of her relatives. That day, her family members, who came from six cities, gathered in her house in Beijing. Our workers spent a day taking photos of them, and we made a video of the whole process. Some elderly members of the family shed tears of joy, as they said that the last time all the family sat together and posed for a photo was 20 years earlier," Yue recalls. Yue says she prefers to be called a pioneer in the field of photography, rather than a businesswoman. "My team and I have spared no effort in achieving perfection, and we dream of delivering love through our work. 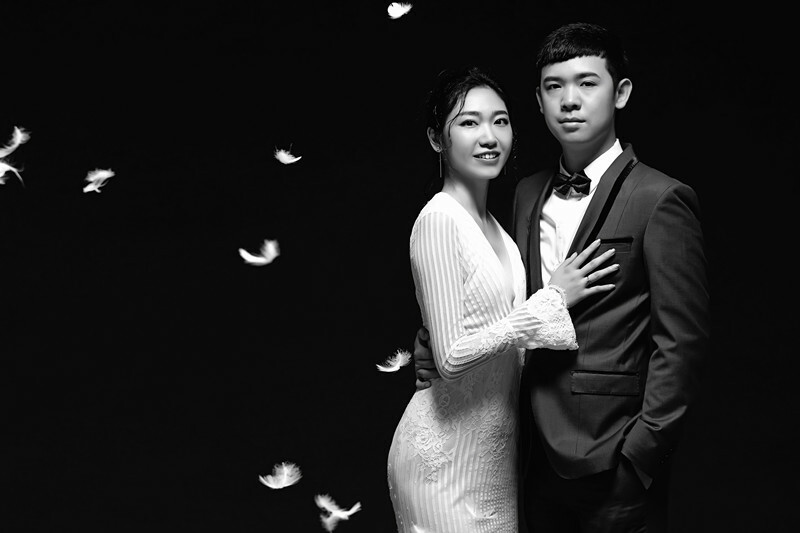 I will always highlight innovation in developing the photography business," Yue says.